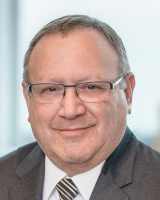 David A. Garfinkel joined Levine Smith Snider & Wilson in 2014 as an of counsel attorney. He brings more than 30 years of family law experience to the firm and specializes in complex divorces, paternity, prenuptial and postnuptial agreements, high-asset property division, custody, alimony, visitation and child-support issues. Board certified by the Florida Bar Association as an expert in marital and family law, David is a leader both in the legal profession and in the community and has served as a chairman on multiple boards. He is recognized as a Martindale-Hubbell “AV Preeminent” lawyer, Best Lawyer in America, Super Lawyer, a Top 100 Family Law Attorney in Florida and also has been recognized by Florida Legal Elite and Georgia Legal Elite. While on the board of the Florida Family Law Equitable Distribution Committee, David co-drafted a proposed statute to submit to the state legislature. He has lectured frequently to attorneys and law students on various marital and family law topics. He is admitted to the bars of Georgia, Alabama and Florida. David is married to Judy Mendel Garfinkel, whom he met while they were students in law school. They relocated to Atlanta in 2014 after living in Jacksonville, Fla. to join their three adult children and granddaughters who reside in Atlanta. The firm has built its reputation by successfully representing clients in complex divorce and child custody matters. Our attorneys are skilled problem-solvers who are adept at handling any and all financial aspects of a case, including those that require valuations of businesses and professional practices. Levine Smith Snider & Wilson’s mission is to appropriately represent our clients and achieve maximum results, while maintaining the highest level of professionalism. We work diligently to secure the most favorable outcomes while acting in the best interests of children and families. Our goal is to settle all cases through negotiation; however, we are always prepared to take a case to trial if necessary.